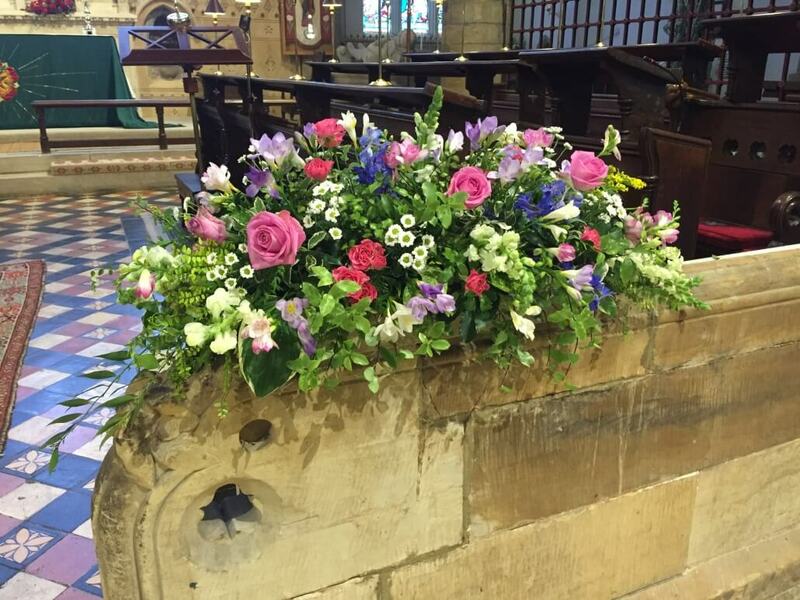 Many Congratulations on your forthcoming marriage – and we are delighted that you are considering holding your Wedding at St. Mary’s. 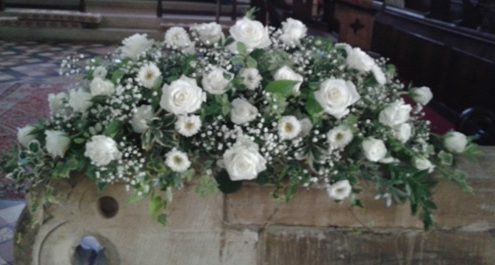 Please contact the Church Office in the first instance, who will be very pleased to help you begin making your Wedding arrangements. 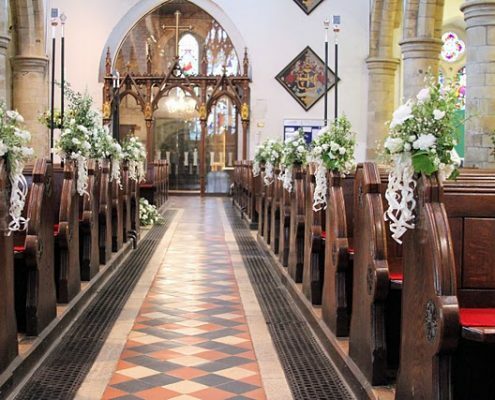 You will need to begin by first checking with us whether you are legally eligible to marry in St. Mary’s; then fixing a Wedding date in the Church diary; and then booking to meet the Minister who will conduct the Wedding – who will look forward to getting to know you, will help you plan the Service details, and also will invite you to attend a short Marriage Preparation course. 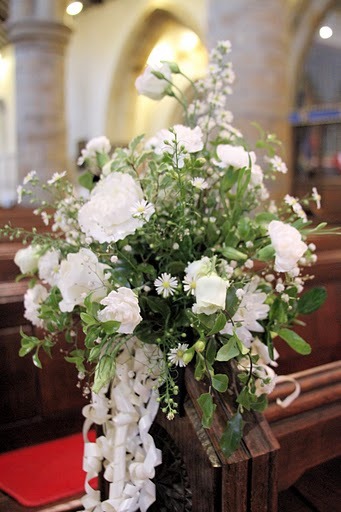 Details of what makes a person eligible for marriage in a Parish Church like St. Mary’s can be found on the Church of England website. 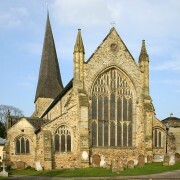 As you will see, the new marriage measure enables you to be married in a Church where you can prove a “qualifying connection” The simplest connection is of course that you live here – and all who live in the Parish of Horsham or who have a parental home in the parish are eligible to be married at St. Mary’s. 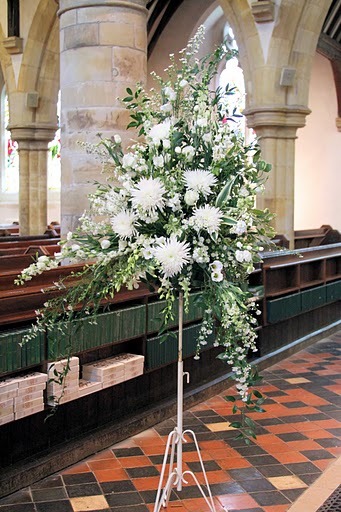 (Again, the Church Office will help guide you in this regard, since Parish boundaries are not always obvious – for example Broadbridge Heath is part of Horsham Parish, but Roffey is not – which parish your address is in can be checked here: www.achurchnearyou.com). 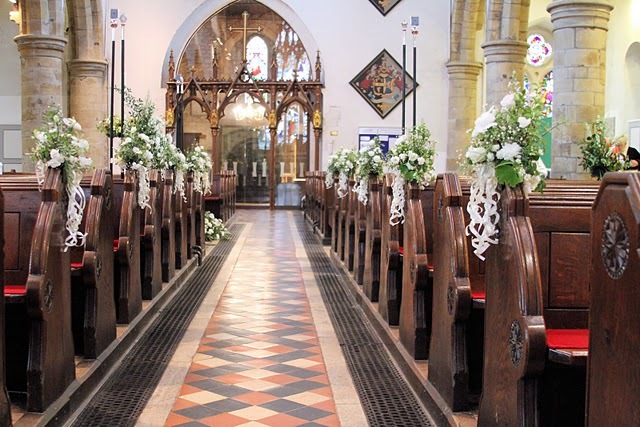 If either of you has been divorced, you may be able to have either a second marriage in Church or a Service of Blessing following Civil Marriage. When you book your date, this will be something to discuss with the Minister due to conduct your service (who may need to apply for permission from the Bishop). 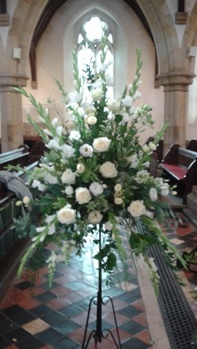 Fees are to be paid at the church office, at the latest, a month in advance by cash or cheque made out to “PCC Horsham No. 1 Account” prior to the wedding date. The office is open from Monday to Friday, 10am to 2pm. We look forward very much to meeting you, and helping you plan for your special day – and we pray God’s rich blessing on your future together. 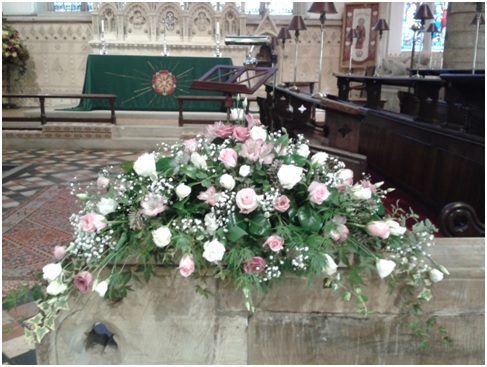 If you would like to have optional extra floral arrangements at your wedding, to enhance the beauty of the Church, then please contact Carol to arrange this via the St Mary’s church office. 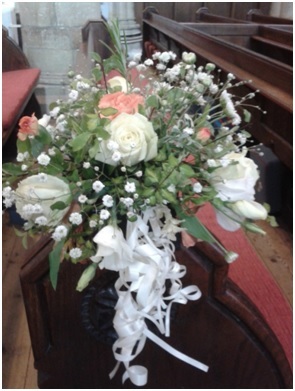 We offer a selection of arrangements at £80 each (£90 for baskets in Lent). 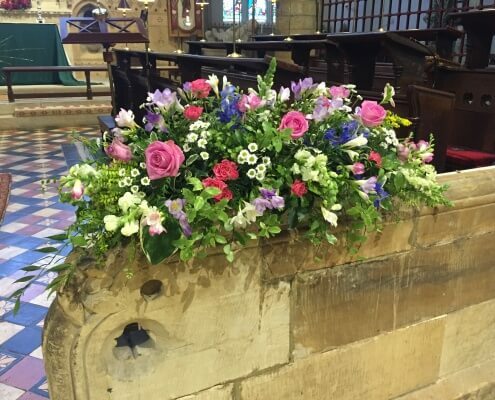 Please note that this low charge simply covers the cost of the flowers themselves, and that the arranging is done gratis by our experienced volunteers. 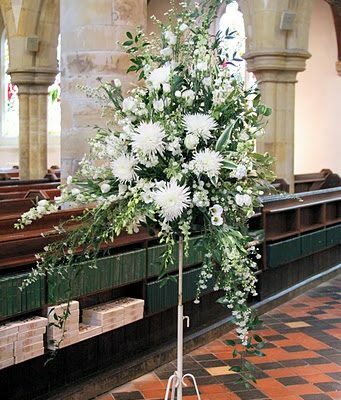 There is not the opportunity for couples to use other flower arrangers, due to the fact that the Church is used by others and we need to co-ordinate arrangements to ensure that everyone’s needs are catered for. 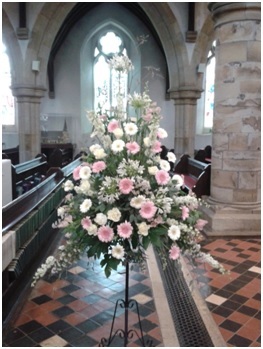 If you would like to see an example of our arrangements please see the photos in the gallery below. 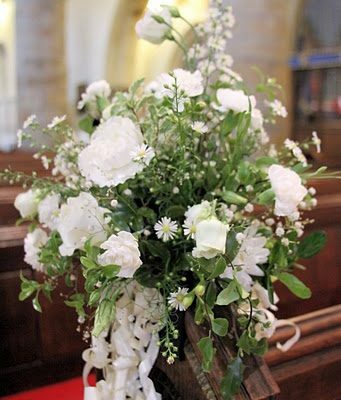 You will appreciate that our fine Church building will, at times, need to have building / maintenance work carried out and we will endeavour to let you know if any work would take place around the time of your wedding date. Thank you for your consideration in this matter.